Bleisure the new buzzword in travel, but what is it? Bleisure is the new buzzword in travel, but what is Bleisure travel? You have probably heard someone from your office mentioned Bleisure travel or maybe Bizcation and you are probably wondering what on earth are they talking about! The term bleisure was coined from the words business and leisure. It basically attempts to explain the increasingly growing trend seen today in business travel where a business executive combines business and leisure. It refers to the mixing of business with a certain degree of leisure activities. Bleisure travel brings the best of both worlds to an employee by injecting some much needed fun into business trips. In the past, business trips meant long hours of boardroom meetings and tough negotiations and subsequent reporting. But throw in a couple of nights with your partner at the spa, the chance to bring in your family for a weekend break or a visit to a nearby theatre and you can convert the stressful trip miles away from home into a family bonding retreat or a romantic gateway. What are the benefits of Bleisure travel? Bleisure travel has many advantages. It is a great, but inexpensive way for companies to benefit and appreciate their employees. It does not result into unnecessary expenses for the company. Employees take advantage of the opportunities already provided by the business travel agenda. In case they intend to extend their stay at a particular location, they will be the ones to meet the extra costs of food and accommodation. If the employee wants to bring their partner or family, they get to pay for the extra costs. These include fare, food and accommodation. It’s a win-win for all the parties involved. Like Bleisure travel, bizcation also means blending a business trip with a vacation. It means stopping in between your trips to an opportune vacation. It indicates end of the times when there was a clear distinction between work and play. Just like business has blended with life, business travel also has. Time-barred, family business travelers are taking full advantage of being on the road for their employers. Employees are choosing to add vacation time on their business trips, and hotels have realized this and are doing all they can to attract bizcation travelers. Is it more cost effective mixing travel, business and leisure together? Needless to say, bleisure travel brings value for money because it doubles the advantages of a journey. This is because it’s highly efficient. It’s a perfect case of having it all. This is not just in terms of money but also with regard to personal energy. Rather than catch a Friday evening flight home and arrive late and buggered, today’s bleisure traveler finishes the last meeting at 4.00 pm and finds themselves already at the place where they want to have a mini-weekend break. This is a perfect chance of a weekend away with the family while on a business trip. 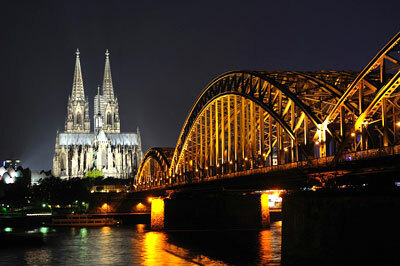 For example, if the business excursion is to be held at the Cologne Messehalle and a business executive chooses to combine it with cultural city break with the family, this potentially stressful business trip suddenly becomes a shared pleasure. In the same way, a marketing meeting in London can be converted into a party if a traveling employee teams up with family and friends to watch a midweek game at the Emirates Stadium or Stamford Bridge. Is Bleisure travel beneficial to companies? Are Bleisure travelers happier employees? Companies are reaping big from bleisure travel. By allowing business executives to extend work trips into vacations, companies are making their employees much happier. And as we know, a happier employee is a much more productive employee. It’s a low-cost but effective method for a business to appreciate and cherish its employees. Bleisure travel also improves job satisfaction and also fosters loyalty among employees. Since bleisure travelers can transform a boring business trip into a shared moment with family, this trend of blending business with pleasure makes employees much happier. An employee can bring along family or a partner and only pay for the extra person. Also, if an employee decides to extend his trip into vacation days, he only has to pay the accommodation and food costs for the extra days. It's a much better deal for both the employer and the employee. Bleisure travel takes the stress out of business travel and makes it more pleasurable. In a recent survey done by Skift, a travel website, it was revealed that work travel is becoming a lifestyle for some people rather than a necessity. The research reported that 60% of the respondents had taken bleisure trips. They added an average of two vacation days into their work-related trips. (Source of survey: BGH Bleisure Report 2014). Does the average Bleisure traveler work on holidays? Bleisure travel involves mixing business trips with vacation. In other words, as soon as the business trip is over, an employee starts their vacation. Instead of catching the first plane home after the conclusion of a week-long meeting, you can decide to start your vacation there and then. Therefore, inasmuch as people say bleisure travel is about mixing business with leisure, people don’t work during holidays, but business meetings. Which country has the most percentage of Bleisure travelers? According to the latest survey by BridgeStreet Global Hospitality in which more than 640 international travelers were interviewed, America still leads the way in terms of the highest percentage of bleisure travelers. The report also indicated that younger people of age18-34 were more likely to take bleisure travel than octogenarians. Over 50% of those polled also admitted to bringing their family on bleisure trips. Most popular activities for bleisure travelers are culture, dining, arts and culture. Are there any disadvantages to Bleisure travel? Bleisure traveling sounds great, but this doesn't mean that it is not without issues of its own, small as they may be. 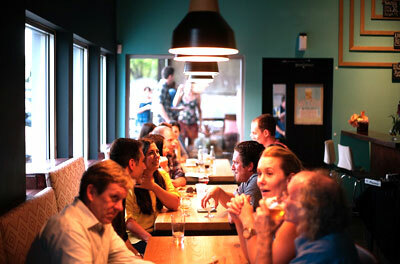 For instance, if you will be working long hours, your partner may not be okay with sightseeing and dining alone. Another thing is that your significant other may not necessarily be comfortable socializing with your other colleagues. Bleisure traveling has revolutionized business trips! In the end, business trips used to be synonymous with boardroom meetings and long hours of endless negotiations. But bleisure traveling has revolutionized business trips. Employees can add one or two vacation days to their business trips, something that not only makes their trips more satisfying but also less stressful. The car has been paid for and so is the hotel room. You only pay for the additional days you spend. If you bring your spouse, you only have to pay for her food. The company gives you more satisfaction at your work without spending extra on your partner or family. Tasiilaq Greenland - adventure and nature awaits, but not for everyone!